Who can go to sleep after that one? This one lived up to the billing. The Patriots-Chiefs Sunday Night Football game turned into an instant classic, at the end of the night resembling an old-fashioned AFL shootout as the teams were scoring back and forth. Punters? Who needs ‘em? This was a night for offense and big plays and the Patriots made just a couple more than the Chiefs did in the end and walked off with 43-40 win on a Stephen Gostkowski field goal as time ran out. Tom Brady hit Rob Gronkowski with a huge 39-pass play down the right sideline to set up the game-winner as he and KC quarterback Patrick Mahomes put on a show for fans at the stadium and watching on television. If you were looking for offense and points scored, this was the place for you on Sunday night and you would not have been disappointed. We wrote in our pregame keys that this would come down to whoever got the ball last. We said Brady would lead them to a 38-35 win on a late drive. We didn’t give the offenses enough credit. 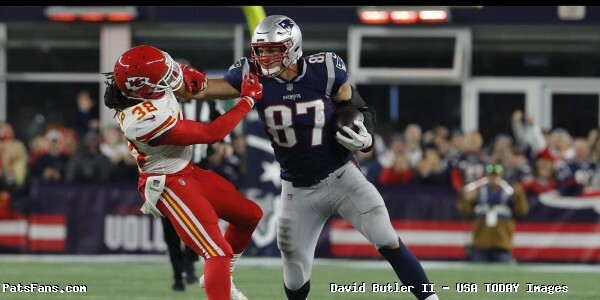 The Patriots defense played a tremendous first half, holding the Chiefs explosive offense to just nine points and forced Mahomes into two costly interceptions, one which put the New England offense on the doorstep for an easy TD, and the other at the end of the half in the Pats end zone which cost KC three points at the end of the half. They were aggressive and disruptive and did enough to slow down a Chiefs offense which had outscored their opponents by a whopping 59-9 in the first quarter of their first five games. But Mahomes in the second half showed the stuff that has been the hallmark of the Chiefs’ offense this year. They began hitting big plays and turned a comfortable 24-9 lead at the break into a track meet. Mahomes made one play, running to his left and then in a twisting motion, firing a frozen laser downfield about 30 yards to an open Tyreek Hill that was just sick. And the 67-yard strike to RB Kareem Hunt had the déjà vu feeling of a year ago when the Chiefs torched the Pats on opening night. He brought the Chiefs back to take the lead in the fourth quarter 33-30 on a pass to Tyreek Hill which quieted what had been a raucous New England crowd. That came on the heels of another big play, a 97-yard kickoff return by Tremon Smith that set the Chiefs up on the doorstep. Brady behind the running game of Sony Michel who rushed for another 106 yards, then put up the next 10 points giving the Patriots a 40-33 lead with a little bit more than three minutes left on the clock. Mahomes and the Chiefs would need only 12 seconds of that, thank you very much. Hill flew down the field like he was shot out of a cannon, dusting Duron Harmon, who is one of the fastest Patriots like a turnstile at the airport, going 75-yards in one play and the score was tied at 40. If there was one mistake in that, it was that KC left Tom Brady too much time. With 3:03 left and all three timeouts remaining, the Patriots did what great teams are supposed to do in big moments. They answered the bell. Michel picked up a key 3rd and 1 at the Patriots 34 and they were in business. Brady hit James White for 16 and then Gronkowski for 39 to set them up for milking the clock and getting the ball on the left hashmark for Stephen Gostkowski who nailed the 28-yarder as time ran out to give the Patriots the win and improve them to 4-2. Brady finished 24-35 for 340 yards with a TD. He also ran one in from 4-yards for another. Mahomes finished 23-36 for 352 yards with 4 TDs and 2 INTs. While they flustered him a bit early in the game, he never panicked and was cool down the stretch and once he got them going, the Chiefs offense looked unstoppable. The Patriots two-head RB tandem of Michel and White was again excellent, Michel carried 24 times for 106 yards, while White had 8 carries for 39 yards and added 5 catches for 53 more. Rob Gronkowski was quiet until the fourth quarter, catching two huge passes, a 42-yarder, where he displayed a stiff arm that belongs in the WWE, to set up the go-ahead score and his final catch that set the team up for the win. He finished with 3 catches for 97 yards. New England finished with 500 yards of offense. Hunt showed he loves playing in Foxboro, he had another mammoth game for KC carrying 8 times for 80 yards and caught 5 passes for 105 more. Hill caught 7 for 142 yards and three touchdowns. Travis Kelce had 5 grabs for 61 yards but the Patriots did a good job of neutralizing him early on. The Patriots are on to Chicago to take on the Bears who lost in overtime to the Dolphins in Miami. They play 4 of the next five on the road. Sony Michel – Remember a few weeks ago some bobo began calling him a bust? And he got many fans jumping on board with that absurdity. How do you like them apples? Michel had another strong game and his ability to pick up the short-yardage conversions has been excellent. His last three games? He’s racked up 112, 98, and 106 yards and the Patriots have scored 119 points in those three games and won all three. Dont’a Hightower– On the Chiefs first possessions, they were targeting Hightower using the RPO (run/pass option). But that changed. He began to play a more aggressive game and was chipping Kelce before he was going out in the pattern, and got a key interception. Faking a blitz, he dropped into the throwing lane where he picked off Mahomes. He later brought pressure on Mahomes which forced a throw that was picked off by Harmon in the end zone. The aggressiveness shown by Hightower and the defense held KC to just 4-10 on third down. Honorable mention – Patriots offensive line. When you roll up 500 yards of offense, including 173 yards on the ground and control the clock for 36 minutes, you’ve done your job. Jason McCourty – The Patriots corner who has played so well this year, committed the cardinal sin of peeking back in the backfield early in the third quarter. It was then that Hunt blew by him and Mahomes hit him in stride for a 67-yard touchdown strike. Devin McCourty – Yes, it wasn’t the greatest of nights for the twins from Rutgers. McCourty had the unenviable task of trying to stick with Hill. Nobody has the kind of speed that Hill has. He makes everyone chasing him look slow and he easily beat McCourty twice for touchdowns in the second half. Patriots coverage units – Remember when the Pats special teams were among the best in the business at covering kicks and punts? The unit got gashed and hard by the Chiefs tonight. Smith returned one kickoff for 33 yards out to the 37 to give KC excellent field position which led to a field goal. Next, he returned on 97 yards to put the Chiefs inside the five-yard line for an easy go-ahead score. That is unacceptable. 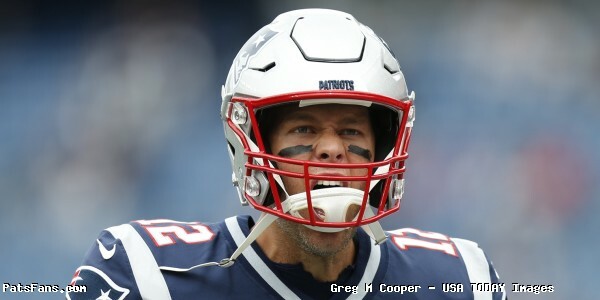 This entry was posted in 2018 Patriots Regular Season, NFL Commentary, NFL News, Patriots Commentary, Patriots News and tagged 2018 NFL Season, 2018 Patriots season, Bill Belichick, Chris Hogan, James White, Kansas City Chiefs, Kareem Hunt, New England Patriots, NFL, Patrick Mahomes, Patriots, Rob Gronkowski, Sony Michel, Tom Brady, Travis Kelce, Trey Flowers, Tyreek Hill on October 15, 2018 by Steve Balestrieri. But make no mistake it is a big game for both teams. The Chiefs have been on a roll and are 5-0, they want to continue their dominance and build upon that. But they also know they were in a similar position a year ago when the wheels came off. The Patriots started badly at 1-2 but have played much better the past two weeks and now it begins a very tough stretch of games for them. This game features two very intriguing QBs, Tom Brady, the reigning MVP and winner of five Super Bowls and Patrick Mahomes, the second-year player making just his seventh start in the NFL who has been lighting the league on fire for the first month plus. Their skill sets and strengths are pretty different and each will have the chance to showcase their talents again on the big national stage on Sunday Night. The Patriots rookie running back is actually questionable to play with a knee injury and was limited in Thursday’s practice session. It isn’t known if this latest injury is a continuation of his knee that was drained of fluid during training camp or it is another new injury that he suffered during the Thursday night game against the Colts. Michel in the past two weeks has gained over 200 yards and has been really rounding into form after missing all of the preseason games this summer. He has begun to show the form that he exhibited in college that attracted him to the Patriots this spring and gives them a dynamic back who gain can break a small run into a big one. He should be (if he’s good to go), a big part of the game plan this week. The Patriots will look to stay balanced and run the ball, controlling the clock and keeping Kansas City’s pass rushers off balance. And the best way to do that is running the ball right at them. The Patriots newest wide receiver has still only been a member of the team for about a month and is still learning the playbook and the route tree for the Patriots wide receivers. So far, the results while encouraging, have been small in relation to what his potential can be. Gordon has been saying and doing all the right things and his teammates seem to be completely behind him. This might be a week where the coaches try to get him a bigger piece of the game plan and try to stretch the field more vertically. We saw last week, the Jaguars try to the same thing time and again, and while it was successful a few times, their protection didn’t hold up enough to make it viable. The Patriots could opt to do some of the same, especially if Eric Berry and Justin Houston are out. Gordon has the size and athleticism to be a huge target down the field, opening up all kinds of room for guys like Julian Edelman and Rob Gronkowski to work the middle of the field. Assuming everyone is healthy (or reasonably so) and on the field, White could be the Patriots “X-Factor” this week in the passing game. As we wrote in our keys to the game earlier this week, with the Chiefs having to cover Gronk, Edelman, and Gordon, it opens White up as the movable chess piece for Brady to use in the air. While Michel is the valuable piece in the ground game, White is the Swiss Army Knife for the passing game. Look for Brady to put him in motion and try to isolate him on a linebacker where they can possibly get a mismatch. White is one of the most dependable, versatile players on the Patriots offense. He can do it all, run between the tackles, catch out of the backfield, and pass block. He and Michel will no doubt feature prominently this week. With all of the league abuzz, and rightfully so over the early season excellence of Patrick Mahomes, Brady is usually a player that will use that fact as fodder to motivate himself to elevate his game this week. Not that he should need any extra motivation. The past two games against Kansas City have ended badly for New England. Brady started slowly this season, but the past two games, he’s looked much better and is getting hot at just the right time. The Patriots will need a big game out of him, and with many questioning, whether New England is ripe to fall, this game against the undefeated Chiefs will be a big measuring stick. Brady will look to start quickly this week, something he did against the Colts where he went 9-9 for 75 yards and a touchdown pass to Cordarelle Patterson. KC’s defense has given up a ton of yardage but has been very stout on 3rd down, which will automatically be something that will bear watching this week. The Patriots defense has a pretty heavy task in front of themselves this week, in trying to scheme a way to slow down the high flying Chiefs’ offense. To do so will require a total solid defensive effort but a couple of players must have strong games on Sunday night. And it starts with Chung and Van Noy. The Chiefs’ RPO (run/pass option) game is strong and gave the Patriots fits last year, not only against the Chiefs but in the Super Bowl against the Eagles. 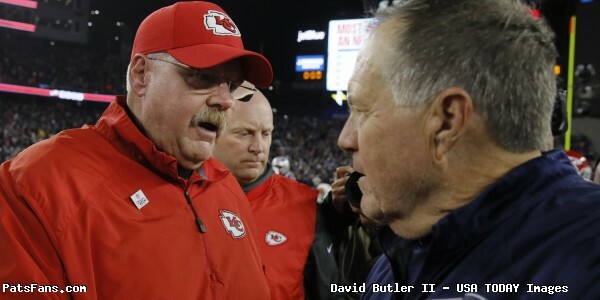 No doubt Andy Reid took note of that. Van Noy will need a big game this week. KC likes to fake the run and get Travis Kelce that deep open space behind the linebackers with lots of room to move. Van Noy will have to get the depth and take away those easy passes. Chung is outstanding in run support and he’ll probably draw the task of covering Kelce much of the time. It will be an interesting chess match. It won’t be an easy one to win but they should have a good game plan in place. 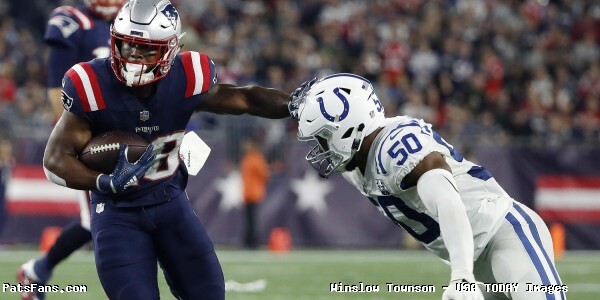 This entry was posted in 2018 Patriots Regular Season, NFL Commentary, NFL News, Patriots Commentary, Patriots Film Room, Patriots News, Patriots Rumors and tagged 2018 NFL Season, 2018 Patriots season, Bill Belichick, Chris Hogan, Dont'a Hightower, Eric Berry, James White, josh gordon, Julian Edelman, Justin Houston, Kansas City Chiefs, Kareem Hunt, New England Patriots, NFL, Patrick Mahomes, Patriots, Patriots edge rushers, Rob Gronkowski, Sony Michel, Stephon Gilmore, Tom Brady, Travis Kelce, Trey Flowers, Tyreek Hill on October 12, 2018 by Steve Balestrieri. Patriots-Chiefs Week 6, Key Matchups, Who Has the Razor’s Edge? The New England Patriots host Sunday Night Football, their second primetime game in a row, where they will appear in four in five weeks. The Patriots travel to Chicago for a 1:00 p.m. start next week followed by a Monday Night Football game in Buffalo and then another Sunday night game against the Green Bay Packers. This week’s game will be broadcast by NBC and can be seen locally on NBC 10 Boston. Al Michaels will handle play-by-play duties with Cris Collinsworth as the color analyst. Michele Tafoya will work from the sidelines. The game will also be aired on the Patriots flagship radio station 98.5 The Sports Hub with Bob Socci and Scott Zolak on the call, produced by Marc Capello. The Patriots (3-2) defeated the Colts on Thursday night 38-24. Tom Brady threw for 341 yards and three touchdowns while Sony Michel rushed for 98 more yards this week as the offense played the best game that they’ve had all year. The Chiefs (5-0) beat the Jacksonville Jaguars 30-14 as Patrick Mahomes and the Chiefs offense sliced and diced the Jags defense. After the talk that Jacksonville did before the game, it had to have been demoralizing to the say the least. The Patriots and the Chiefs are meeting for the 36th time including the playoffs in their history since the days of the old AFL when they would meet twice a year. Kansas City holds the overall lead 18-14-3. The Patriots own the edge in games in Foxboro with an 11-7-2 record. This is the fourth straight primetime game between the two teams since 2011. The Chiefs won the last matchup between the two teams 42-27 on Opening Night in the NFL for 2017. The Patriots running game has found its rhythm the past two games with Sony Michel and James White sharing the duties. Michel had 112 yards against Miami and then 98 more against the Colts last Thursday night. They just brought back Kenjon Barner to add some depth. But they miss Jeremy Hill and Rex Burkhead who are both on IR. The Chiefs defense has struggled against the run allowing an average of 118.8 yards per game and a whopping 5.8 yards per rush. And a part of that is that the Chiefs have been playing with the lead every game and are pinning their ears back with their pass rush. However, they aren’t great against the run and can be run on, running right at those edge rushers. Look for the Patriots to stay balanced and keep riding Michel attempting to keep the Chiefs defense on the field and to slow down their pass rushers. This will allow them to use play action passing on early downs as well as to control the clock. The Patriots passing game finally has all of their weapons on the field at the same time. And that unit looked nothing like the one that struggled for the first few weeks of the season. Having Julian Edelman back gives them a huge boost from the short-yardage slot position and this keeps the chains moving. Josh Gordon has only caught four passes in two games but brings a different element to the field. As he gets more and more comfortable in the offense, his production will increase. Rob Gronkowski has been slowed by a bothersome ankle but should see a spike as well. The Chiefs pass defense has struggled in 2018 allowing an average of 343 yards per game. They miss safety Eric Berry who may not play this week. Pass rushers Justin Houston and Tanoh Kpassagnon may also miss this week with injuries as well. Only the Bucs have allowed more yardage thru the air and the KC defense is dead last in total yards allowed as well as 25th in points. Look for Brady to attack the middle of this defense, especially if Houston is out with Edelman and Gronkowski early. This should open up opportunities on the perimeter with Gordon and their complementary guys in Phillip Dorsett and Chris Hogan. The “X-Factor” for the passing game this week is James White out of the backfield. With a full complement of receivers now, he can be a big mismatch when they split him out wide. This would be a good week to get Jacob Hollister involved a bit more in the passing game as well. Of course, everything depends on the protection. The Patriots offensive line has to do a good job of keeping the Chiefs pass rushers at bay. They saw how Dee Ford single-handedly impacted the Jacksonville game. That must come with a combination of better blocking and having the running game keeping them off-balance. The Chiefs have their workhorse in Kareem Hunt who burst on the scene as a rookie with a huge game against the Patriots in his first NFL game. Hunt led the league in rushing a year ago and tremendous vision, balance and runs with good power. Kansas City didn’t use him much the first couple of weeks because they were just lighting up the opposition through the air but that changed in Oakland where he rushed for 121 yards and the game-winning touchdown. The Patriots run defense was awful for the first three weeks of the season and very good the past two weeks, albeit playing against teams that don’t run the football well (Dolphins/Colts). But the difference was the play of the front seven, specifically the defensive line. Where they were getting pushed around a lot, they stiffened and were getting penetration, disrupting the opposition the past two weeks. The Chiefs gashed New England with Hunt a year ago, opening up all kinds of holes in the passing game, particularly running to the right. Look for much of the same with Hunt who it seems is starting to find his groove. The Chiefs passing game has been lights out so far in 2018. No one has figured out a way to stop them and with a plethora of playmakers to throw to, (Tyreek Hill, Sammie Watkins, Travis Kelce and Hunt out of the backfield), Patrick Mahomes has had historically crazy success. Thru five weeks he’s averaging nearly 300 yards per game with 14 TDs and just 2 interceptions. The Patriots’ secondary play has been better as of late, however, the pass rush has been inconsistent again and they’re allowing opposing QBs for the most part too much time to see the field and throw the ball. Against the Chiefs this week, that is a recipe for another big night for Mahomes. Look for the Andy Reid to run those RPOs (run/pass option) plays that they sliced New England up with last year again. Those plays freeze the defense and allow the TE Kelce to get immediate separation in the gap behind the LBs with room to move. When the Chiefs get in the red zone, they spread the ball around beautifully and nine different players with TD catches… Who do you try to take away? The Patriots have a solid group of specialists with Kicker Stephen Gostkowski, P Ryan Allen, and returners with Edelman and Cordarrelle Patterson returning punts and kickoffs. The coverage units have been a bit inconsistent and need to play better. The Chiefs counter with Harrison Butker and the excellent Dustin Colquitt in their kicking duties. But the Chiefs feature the dangerous Hill who returns kicks and has a 91-yard punt return. As a team, the Chiefs are averaging a ridiculous 26.7 yards on punt returns, while holding opponents to 1.7 yards per return average. That’s called flipping the field. The pressure will be on Allen this week, to keep the ball away from Hill and angle his punts out of bounds. This is shaping up to be an exciting Sunday Night game, that may harken back to those days of the old AFL shootouts before the 1970 merger. Reid’s offenses always get off to a fast start in the season. It will be interesting if the Patriots and Belichick, with 10 days to prepare to figure out a way to slow down the Chiefs offense. The feeling here is to do that, they’ll have to be aggressive, play Cover 1 man and try to jam and reroute and/or slow the receivers at the line of scrimmage. If they can do that and disguise their coverages, then they have a shot at slowing down KC’s offense. But traditionally against mobile QBs such as Mahomes, the Patriots M.O. has been to be more passive and in a react, containment mode. That, in our opinion, will not work and they’ll get smoked if they do that. Offensively, the Patriots offense can match up just as well against the Chiefs defense with Brady leading the way. They can stress the KC defense with plenty of weapons of their own. One big area to watch is third down, one area that the Chiefs defense has done very well in. 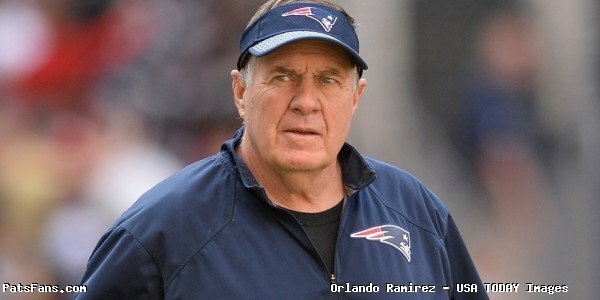 This entry was posted in 2018 Patriots Regular Season, NFL Commentary, NFL News, Patriots Commentary, Patriots News and tagged 2018 NFL Season, 2018 Patriots season, Andy Reid, Bill Belichick, Chris Hogan, Dee Ford, Dont'a Hightower, James White, Julian Edelman, Justin Houston, Kansas City Chiefs, Kareem Hunt, New England Patriots, NFL, Patrick Mahomes, Patriots, Patriots edge rushers, Rob Gronkowski, Tom Brady, Travis Kelce, Trey Flowers, Tyreek Hill on October 11, 2018 by Steve Balestrieri. You can nod your head if you’ve seen this one before. The Kansas City Chiefs physically dominated the Patriots at the point of attack on both sides of the ball and used a suffocating defense and an opportunistic and explosive offense to send the Pats to the locker room with plenty to digest on the wrong end of a 42-27 pasting at home. The 42 points and 537 yards allowed were the most ever by a Bill Belichick coached Patriots team. The turning point in this game was at the end of the first half. Leading 17-7, the Patriots got the ball at their 40-yard line with a little over three minutes to go and a chance to open up a big lead at intermission. After a nice gain by Dion Lewis on first down, Brady missed on his next two throws forcing a three and out. Worse, the incompletions took no time off the clock and the Chiefs got the ball back with plenty of time to go down the field. And they did just that, as they carved up the Patriots defense for a 92-yard scoring drive just before the half that cut the lead to 17-14 and you could feel this one turn. Brady and the offense had the chance to put some distance between themselves and an opponent at halftime but couldn’t capitalize. Instead, the Chiefs outscored them 35-10 from that point on. The Patriots defense showed that they have a lot of work to do and it can begin with the game plan. With Dont’a Hightower playing on the edge, the team played a lot of dime coverage which forced Kyle Van Noy into the middle and wearing the green dot. While he may find more comfort in that down the road, on Thursday night he looked uncomfortable and out of sorts. Speaking of out of sorts, in the dime look, the team went back to having Jordan Richards play a linebacker role in the Pat Chung kind of look. David Harris barely saw the field and the Chiefs took advantage. But as we pointed out in our pre-game matchups, when the team ran this look in the preseason, opponents ran right at it and were very effective. Richards looked as lost as in preseason. He’s too slow to cover effectively and isn’t physical enough in the running game. Kansas City ran right at this group and did it extremely effectively rushing 27 times for 185 yards with two touchdowns, averaging a hefty 6.9 yards per pop. Impressive rookie running back Kareem Hunt had a fantastic night, rushing 17 times for 148 yards and catching five passes out of the backfield for 98 more and a pair of scores. With Hightower out after getting his knee rolled up, the team put newcomer Cassius Marsh out on the edge and the Chiefs went after him in coverage and Hunt caught a short Alex Smith pass and took it to the house. 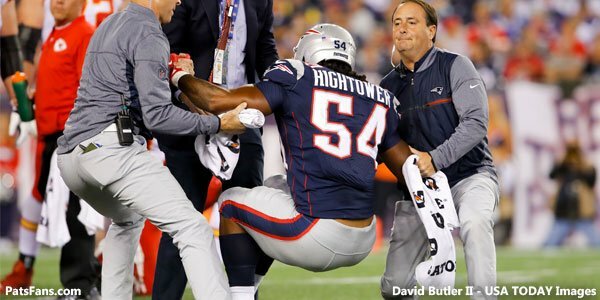 Hightower and the Patriots defense had a tough night. Smith positively carved up the Patriots much ballyhooed secondary to the tune of 28-35 for 368 yards with four touchdown passes and zero interceptions. Including long scoring passes to Tyreek Hill (75 yards) and Kareem Hunt (78 yards), it wasn’t a banner night (pardon the pun) for the secondary. We spent the summer talking up the speed of the Patriots offense, well on Thursday night, the Chiefs put on an absolute clinic with team speed with their offensive weapons. The Chiefs scored just one touchdown drive of 90 yards or more in 2016, on Thursday night they had three. On the offensive side of the ball, the Patriots are now dangerously thin at wide receiver. After losing Julian Edelman to IR in the preseason, just hours before the game, they placed 2nd year pro Malcolm Mitchell on IR with the hopes that he can return later this season. Then Danny Amendola, who was having a very good night with 6 catches for 100 yards suffered a concussion, leaving the team with Chris Hogan, Brandin Cooks, and newcomer Phillip Dorsett. But credit the Kansas City secondary. They played extremely well all night long and were sticking to their receivers like glue. Quarterback Tom Brady had all kinds of time to throw, except that there was no one to throw to. The windows were very tight and the Chiefs contested every throw. Brady’s numbers were uncharacteristically poor 16-36 for 267 yards with no touchdowns and no interceptions. Chris Hogan, shadowed by Marcus Peters much of the night had one catch for eight yards. 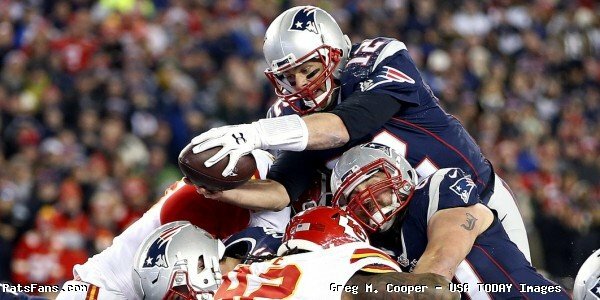 Rob Gronkowski was blanketed by All-Pro SS Eric Berry all game and had just two catches for 33 yards. We expected to see the backs utilized much more than the team did in this one. James White caught just three passes for 30 yards and Rex Burkhead caught one for eight yards. The running game was flat out not good enough. And the Patriots came into this one with the mindset that they were going to run the ball. They ran the ball 30 times for just 107 yards, good for only a 3.6-yard average. What was worse is that three times needing 2 yards or less, including two, fourth and one plays, the Chiefs stuffed them. That’s called dominating the point of attack and that is what Belichick’s teams normally do to the opposition. The Patriots had six red zone opportunities and came away with just three touchdowns. That isn’t going to be good enough. Normally at home when you score 27 points, you should be coming home with a win, however, this wasn’t a normal game by any stretch of the imagination. One bright spot in the running game was newcomer Mike Gillislee who scored all three Patriots touchdowns in the goal line situations. So there remains a lot of work to do, especially on defense because the Patriots have nine days to fix some issues before they face Drew Brees and the New Orleans Saints offense. If Hightower and Amendola aren’t available, it is going to put even more strain on the respective units. Bill Belichick will have his work cut out for him but if there is one thing we’ve seen before, don’t bet against him, he and the coaching staff can figure this one out. If there is a silver lining to this one, we can now put the silly 19-0 talk to bed. That and those even sillier blue towels that were barely seen on television last night. Looked like NBC was trying to limit how much those were visible on the screen. But make no mistake, this one wasn’t a fluke. The Chiefs (as we tried to point out) were a 12-win team a year ago and they dominated this one. Just like they did against the Patriots in a nationally televised game three years ago. We’re on to New Orleans…. 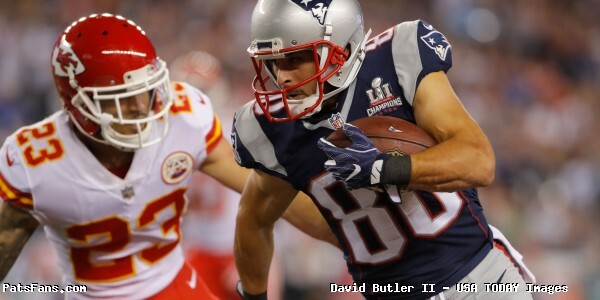 This entry was posted in 2017 Patriots Season, Patriots Commentary, Patriots News and tagged 2017 Patriots Season, Alex Smith, Bill Belichick, Danny Amendola, Kansas City Chiefs, Kareem Hunt, New England Patriots, NFL, Patriots, Rob Gronkowski, Tom Brady, Tyreek Hill on September 8, 2017 by Steve Balestrieri. The Patriots, as well as the 2017 NFL season, kicks off with a Thursday night prime time matchup against the Kansas City Chiefs. The game will be televised nationally by NBC with Al Michaels and Cris Collinsworth on the call and Michelle Tafoya handling sideline duties. Kickoff is slated for 8:30 p.m. The Patriots begin their quest to defend their Super Bowl LI title and are the last team to successfully win back-to-back titles in 2003-2004. The team will unfurl their fifth Super Bowl banner prior to the game and have asked that fans be seated by 8:00 p.m. for the festivities planned. The Chiefs (12-4) won the AFC West and were the AFC’s #2 seed heading into the playoffs. But they lost a home playoff tilt to Pittsburgh 18-16 or they would have met the Patriots in Foxboro for the AFC Championship. In a salary cap move, the team jettisoned former #1 wide receiver Jeremy Maclin in the offseason, feeling that 2nd-year player Tyreek Hill is more than ready to assume the mantle as their top receiver. Tight End Travis Kelce had 85 catches for 1125 yards and four TDs. Tyreek Hill is the Chiefs “X-Factor” on Offense: When the two teams meet on Thursday night, all eyes will be on the Chiefs wide receiver Tyreek Hill. He’s the new #1 wide receiver in just his second year and can do it all. In his press conference on Monday, Patriots coach Bill Belichick said the Patriots have to be ready for everything. “I don’t know exactly where he’ll be, but you certainly have to be conscious of him whenever he’s on the field,” Belichick added. Hill loves playing in prime-time games and relishes his chance to shine in them. He shined last season on a Sunday night at Denver, when he became the first rookie since Gale Sayers to score a touchdown by rushing, receiving and kick return. In another prime-time game against the Raiders, he caught a 36-yard touchdown pass and had a 78-yard punt return for a score. Then Christmas night against the Broncos, Hill gashed their division rivals for a 70-yard touchdown run. “I’m always trying to make the big play under the lights because everyone’s watching,” Hill said. And everyone will be watching him on Thursday. The Chiefs Have Invested Heavily in Their Defense: Kansas City the past several years has pumped a lot of money into their defense. In fact, their salary cap money tied to the defense is nearly 2-1 in favor of the defensive side of the ball. And it shows. Justin Houston, the Chiefs linebacker has struggled with knee injuries the past two years but is reportedly healthy finally and looking to recapture the form where in 2014, he led the NFL with 22 sacks. He and Derrick Johnson, and Dee Ford gives the Chiefs the pressure they’ll need to compete again in a very tough division. The team thought enough of Bennie Logan, that they allowed Dontari Poe to walk in free agency this spring. And with the Chiefs defense, they have one of the top corners in the NFL with Marcus Peters. Safety Eric Berry returns this season as well. Since the 2013 season, the Chiefs defense is second only to the Seahawks allowing just 18.5 points per game. There is No QB Controversy With KC, Alex Smith is the Man: When the Chiefs drafted Patrick Mahomes this spring, many predicted that the writing was on the wall for the steady, but unspectacular Alex Smith. And while Mahomes dazzled in the preseason, Andy Reid and the Chiefs coaching staff are sticking with Smith, at least for this season as the best chance to getting KC a deep playoff run. Chiefs fans will have to be patient and let the rookie develop. In the meantime, Smith trudges along, and for the most part underappreciated. But rather than sulk about his successor being drafted, Smith relished his role. He has been a big help for the rookie and has doubled down on his own efforts at improving. It speaks volumes to his professionalism and to Reid’s staff. Spencer Ware’s Injury Opens the Door for Kareem Hunt: The Chiefs, like the Patriots suffered an injury to a key member of their offense. The KC running game was supposed to funnel mainly thru Spencer Ware in 2017. But after the talented back tore his PCL/LCL this summer, he was lost for the season. But also like the Patriots and their loss of Julian Edelman, the injury at least happened early enough for the team to be able to adjust accordingly. The next man up for the Chiefs is Kareem Hunt. Hunt is a rookie from Toledo that had a terrific summer for Reid and the Chiefs. He brings a nice blend of power, speed and elusiveness to the backfield and behind a good offensive line should be primed to have a good season in KC. He’s a patient runner that reads the play and flow well and is a very good blocker in the passing game. He’ll be backed up by veterans Charcandrick West and C.J. Spiller in the backfield. Teams ran at the Patriots middle this summer. It will be interesting to see how the Chiefs use Hunt on Thursday night. Steven Nelson’s Injury Opens Up Questions at Corner: We already mentioned that the Chiefs have one of the NFL’s best corners in Peters. They lost a very talented youngster in Steven Nelson to IR, but hope that he’ll be able to return later this season. But that doesn’t help them in the meantime and specifically on Thursday night. Who will the Chiefs play opposite Peters when facing Brady and the Patriots offense? KC will probably opt for veteran Phillip Gaines who they drafted in the 3rd round 2014. He was a starter early in 2015 but suffered an ACL injury and was lost for much of the season. He came back late in the year but struggled, which isn’t rare since it takes a good 12-18 months to regain one’s strength and mobility. Now he’s back and seemingly fully back to where he was. The other option would be to use veteran Terrance Mitchell. Mitchell was a player who bounced around a bit and found a home in Kansas City. The Chiefs used him as the nickel/slot corner and he played extremely well for them down the stretch and into the playoffs. Odds are, Reid leaves him right where he’s at, but they could do some mixing and matching depending on the matchups. Of course, nothing helps the secondary and cornerback play like a pass rush and with Houston back, the Chiefs will be looking to bring the pressure. Check back with us later tomorrow as we’ll have a breakdown of the matchups between the Chiefs and the Patriots on what promises to be a very good kickoff to the NFL season. 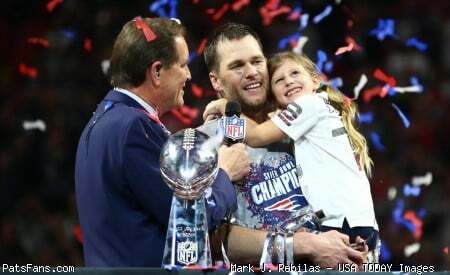 This entry was posted in 2017 Patriots Season, Patriots Commentary, Patriots News and tagged 2017 Patriots schedule, 2017 Patriots Season, Alex Smith, Andy Reid, Bill Belichick, Eric Berry, Justin Houston, Kansas City Chiefs, Kareem Hunt, Marcus Peters, New England Patriots, NFL, Patrick Mahomes, Patriots, Tom Brady on September 5, 2017 by Steve Balestrieri.